According to Aaron Smith of Pew Research who published the results of his findings in January of 2017, illustrated that “roughly three quarters of Americans (77%) own smart phones” http://www.pewresearch.org. Over the course of the year at one point or another everyone goes in to crisis mode when they see their battery almost out of juice. Somehow phones always seem to die at the most inconvenient times, whether you’re at a music festival, hospital, or on a college campus. Having phone charging stations at your venue, hospital, college campus and business provide that relief factor everyone is looking for in the desperate state of a drained cell phone battery. If you’re looking into getting your first phone charging station, deciding whether you’d like to rent a charging station or purchase a charging station is a solid starting point. 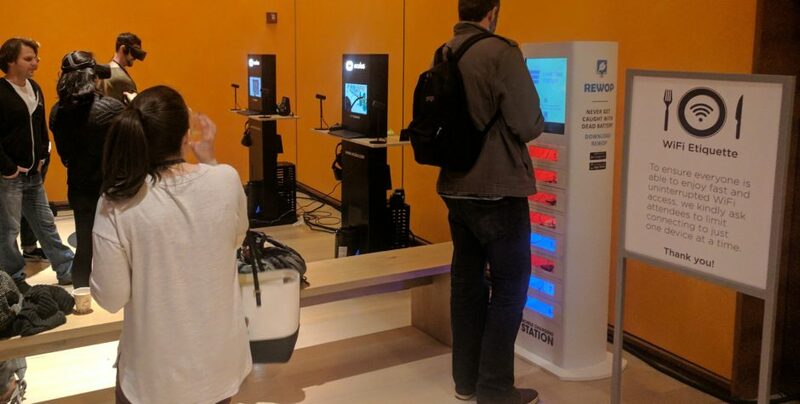 There are several advantages both ways, but in this article we’re going to discuss 4 reasons why it would make more sense to rent a phone charging station. There is no need to spend a lot of money to purchase a charging station if you’ve never used a phone charging station before. Spending a large percentage of your budget isn’t worth it for all customers, especially businesses in the event space. This is why renting a charging station is the perfect solution to a cost effective marketing strategy. Renting a cell phone charging station is only a fraction of the cost of buying one. When you rent a cell phone charging station from Veloxity, we ensure that the unit is working properly every time it’s deployed. When you rent instead of buying a cell phone charging station from Veloxity, we take full responsibility in shipping and storing the kiosk. As we rent to hundreds of clients, we are efficient with time and logistics. Let us do the heavy lifting for you. When you rent a cell phone charging station from Veloxity, we make it our top priority to provide you with the best service from beginning to end. Think: Branding, shipping, delivery and installation, and storage. We’re here for you. Do you have other questions about renting a charging station? Feel free to give us a call to find out how we can help or send us a note.